Established in 2003, EverGraze was designed to develop, test and implement new farming systems based on perennials in a range of environments across the high rainfall zone of southern Australia. The project had ambitious goals – to significantly increase profitability of livestock enterprises above local benchmarks and simultaneously reduce ground water recharge, reduce soil loss by water and wind, improve soil health (including acidity and salinity) and improve biodiversity. close collaborative development between researchers, advisers and farmers nationally. The process of developing messages from EverGraze research is represented in Figure 1, and described in further detail in the following sections. Traditional agricultural research aims to achieve improvements to production and/or the environment through advancements in farm component technology such as development of pasture species, agronomy, grazing techniques or genetics. Findings from these studies often find their way into best practice recommendations on the basis of parameters such as improved pasture growth. However, such recommendations frequently fail to provide evidence of the practicality of integrating the technology into farm management, or the potential cost, profit, risk and/or environmental impact on farm businesses. 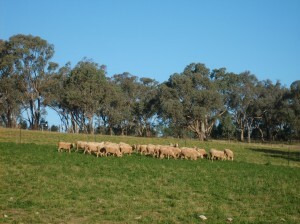 Recognising this, EverGraze set out to achieve its goals by developing farming systems which integrated combinations of strategically placed perennial pastures (improved and native), high performance livestock genotypes, animal and pasture management, and mixtures of enterprises – both meat and wool. The RD&E approach to EverGraze is underpinned by a set of principles. The principles provide a consistent framework and guide for how practices were investigated and applied in research, demonstration and adoption. The right perennial plant put in the right place for the right purpose with the right management, improves profitability and natural resource management simultaneously. 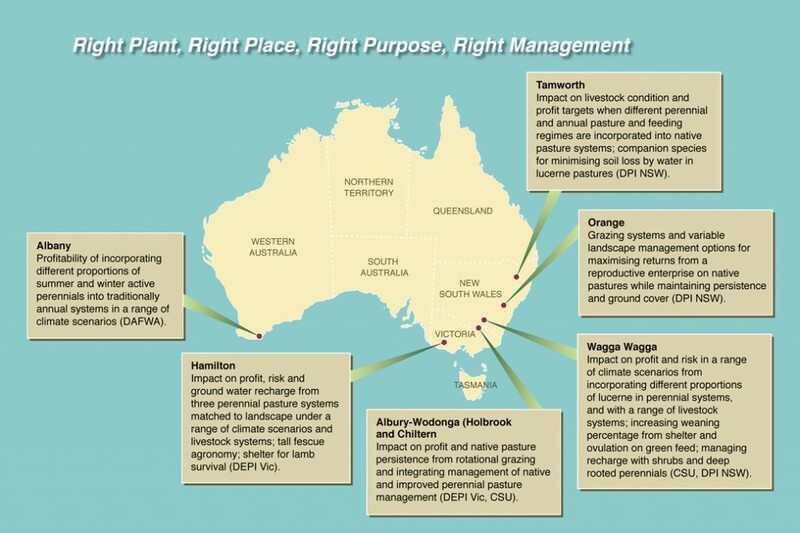 Strategic investment in perennials needs to be combined with high performance livestock and optimum tactical management to achieve desired outcomes. The right combination of perennial species across the farm and their management creates flexibility and options to reduce seasonal risk and create market options. Six research teams across southern Australia designed and tested the new farming systems on large scale Proof Sites (Figure 2). Teams included experts in soil science; agronomy; environmental science; hydrology; animal production; ecology; farming systems; and biophysical, environmental and economic modelling. Farm and catchment scale modelling was used to apply the principles to local environments for design of systems experiments which would achieve target profitability and natural resource outcomes. 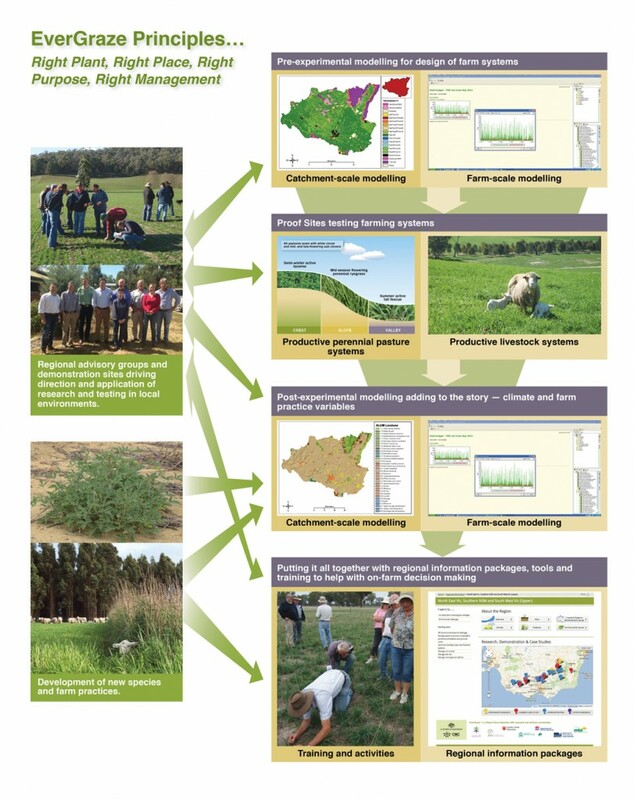 Systems based on improved perennials were tested at Hamilton, Albany and Wagga Wagga from 2006-2011, while systems based on native pastures were tested at Tamworth , Orange, Holbrook and Chiltern from 2008-2012. Measurement of soil, water, pasture and livestock inputs and outputs enabled performance of the systems to be measured and modelled to determine impact on farm business profit, return on investment, risk/variability in costs and returns, and environmental indicators such as ground cover, perenniality and ground-water recharge. Economic and other analysis has provided evidence that EverGraze systems are resilient to climate variability and can deliver financial and environmental benefits. Nevertheless, findings reveal that EverGraze practices are location and site condition dependent and that the final mix of recommendations are influenced by existing feedbase, livestock system and grazing management techniques. Recognising this, local evidence from a network of more than 50 on-farm demonstrations and 50 farmer case studies are used to help to adapt research findings to local environments and quantify the potential benefits in a regional context. Regional advisory groups for each site comprising lead farmers, consultants, extension staff and scientists also play an important role in the interpretation of the biophysical and modelling results. Readers can find these linkages are evident in the “Putting the research into practice” sections in the Proof Site key message pages on this site. Simultaneous to Proof Site research, new technologies were developed to provide options which further enhanced the systems and/or enabled them to be adapted to a broader range of environments. Examples included plant ecology studies (Microlaena and tall fescue ) for enhanced grazing management techniques; new species and cultivars to address soil and climate limitations (tedera, , panic, tall fescue, cocksfoot, phalaris ); use of perennials to provide shelter for lamb survival ; companion species for improving ground cover in lucerne ; and joining ewes on green feed for improving conception rates . Validated Proof Site models were then used to determine the potential applications of these new technologies. A number of common threads, based on the principles, ran through all EverGraze Proof Sites to achieve the intended profit, natural resource management (NRM) and risk management objectives. Recommendations are detailed on the individual Proof Site pages and in EverGraze Exchanges – Making Decisions; The Nuts and Bolts of Grazing Management; Pastures for Place and Purpose; and Livestock Systems for Profitable Use of Perennial Pastures. A summary of key practices, messages and findings are provided below. Links to Proof Sites throughout this section lead to the most appropriate Key Message pages for the discussion. Application of the EverGraze principle – put the Right Plant in the Right Place for the Right Purpose with the Right Management has resulted in persistence of perennials, as well as significant achievements in production and profit. Some of the key practices and achievements at the sites which result from application of this principle are described below. Where pasture species were matched to climate, soils and landscapes, and managed according to ground cover and feed on offer benchmarks, perennials persisted for at least eight years at Hamilton (perennial ryegrass, tall fescue, lucerne) and Wagga Wagga (lucerne, tall fescue, phalaris) and at least four years at Albany (kikuyu, panic, chicory). These results were achieved with extended periods of dry seasonal conditions at each site. 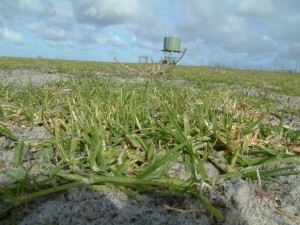 At all Native and High Input sites, stock were removed and fed in containment areas when pastures reached feed on offer (800 kg DM/ha) or ground cover (70% on flat arable areas and 80% on undulating or hilly areas) benchmarks, ensuring the persistence of perennials and the protection of soils. Where local benchmarks were available (for the Hamilton Proof Site), it was shown that profitability significantly above local benchmarks was achieved while these management criteria were in place. At all High Input Proof Sites, ewes were rotated in single mobs in a flexible management system (rather than a strict rotation) guided by the above benchmarks, individual pasture management needs, and livestock production requirements. 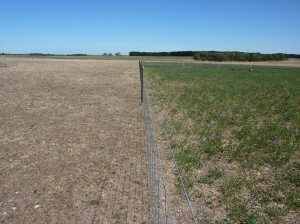 In each case, fencing to separate different pasture species, soils and/or landscapes improved pasture utilisation and ensured that pastures were given adequate rest. The use of land-class fencing to divide variable native-pasture based landscapes defined as “production zones” was a focus for the Orange Proof Site . 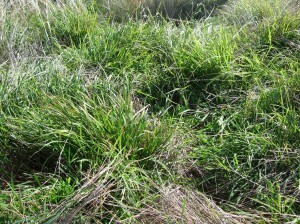 In native pasture systems at Orange and Chiltern, different management regimes were compared. 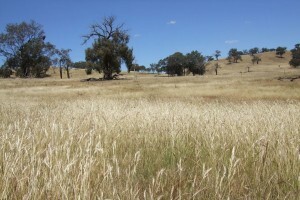 Native pastures were persistent when managed to ground cover and feed on offer benchmarks, regardless of the management regime. Differences in livestock production and long-term profitability were found at the Orange site as a result of different grazing regimes. Flexible (or tactical) management regimes at all sites required close monitoring of both livestock and pastures. Feed and pasture budgeting was required for planning of stock movements, setting appropriate stocking rates sale dates, and development of livestock rations. The EverGraze Feedbase Planning and Budgeting Tools are a useful set of calculators for farmers to develop their own tactical management plans. Previous research (eg. Hamilton Long Term Phosphate Experiment) has shown that meeting soil fertility targets (particularly soil phosphorus) is a key profit driver. 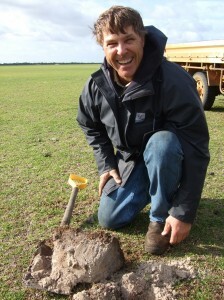 At High Input sites, soils were fertilised to target levels to maximise pasture production and persistence. Lime was also used to reduce soil acidity for establishment of acid-sensitive species such as lucerne and phalaris. The economics and effect on pasture composition of using phosphorus fertiliser on native pastures was investigated at Chiltern and to some extent at Holbrook. The results of these studies was inconclusive within the time constraints of the experiment. 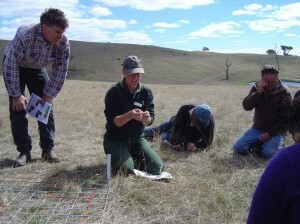 Diversity of perennial pasture species across the landscape extended the growing season, filled autumn, winter and summer feed and quality gaps, and allowed greater flexibility for livestock management. Experimental results and/or modelling showed that inclusion of lucerne or chicory in systems at Hamilton , Wagga Wagga and Albany provided opportunities to finish lambs in wet spring/summers, increasing profits in those years. At Hamilton and Wagga Wagga , there was no negative effect on stock carrying capacity from including lucerne in the system in the proportions tested. At Albany, including 25% perennials in the system achieved the greatest profits with higher stocking rates and lower supplementary feeding costs than a system based entirely on annuals. Inclusion of lucerne in the systems at Hamilton , and kikuyu in Albany reduced supplementary feeding costs in years with a failed spring followed by late spring/summer rainfall. Kikuyu at Albany also played a significant role in providing soil stability and ground cover while reducing supplementary feeding costs in the lead-up to the autumn break. Planting perennials such as late season flowering perennial ryegass or tall fescue in areas which accumulate moisture extended the growing season at Hamilton – providing quality feed for longer at the end of spring (late season flowering perennial ryegrass), and getting away earlier in the autumn (tall fescue). Including lucerne, oats and tropical pastures in systems based predominately on native pastures at Tamworth helped to fill feed and quality gaps to meet reproductive performance targets in a variable climate with summer-dominant rainfall. 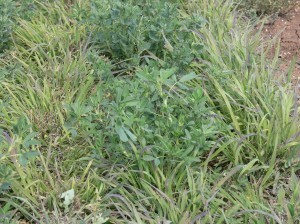 Inclusion of perennial grasses in a lucerne stand also helped to maintain ground cover, reducing soil loss. The annual component of pastures was important at both High Input and Native sites. 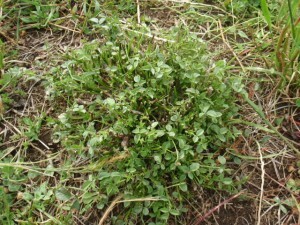 Sub clover was included in all pastures to provide the necessary nitrogen to maximise growth and quality. Quality annual grass species in native pastures at Tamworth, Orange , Chiltern and Holbook , and in kikuyu at Albany, also played an important role for increasing winter production. The most profitable and sustainable combination of different pasture species, and the proportion of different species in each system varied across sites with climate, landscape and livestock production system. 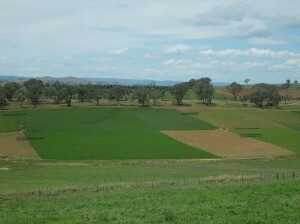 The Albany Proof Site provides recommendations for the proportion of perennials vs annuals; Wagga Wagga provides recommendations for the most profitable proportion of lucerne; while Hamilton compares the use of the Triple System (lucerne, perennial ryegrass and tall fescue) to a Best Practice Perennial Ryegrass system (early, mid and late season flowering perennial ryegrasses planted in the right part of the landscape). Summer activity, deep rootedness, density and persistence are the key drivers of reduced leakage below the root zone. 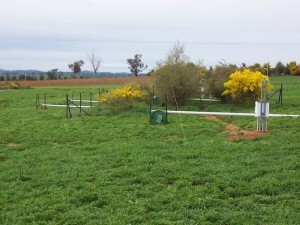 At Hamilton and Wagga Wagga Proof Sites, when placed in the right part of the landscape, lucerne was the most effective pasture species for controlling recharge as it is deep rooted, maintained persistence and density throughout the experiment period (8 years), and used excess moisture through the summer months. Shrubs planted at the break of slope were not a viable option for managing groundwater recharge and water logging at the foot of the slope at Wagga Wagga . Although soil water was not measured at Albany Proof Site, previous research has shown that the summer activity, deep rootedness and persistence of kikuyu make it an effective and proven option for reducing ground-water recharge. As well as the reduction in ground-water recharge observed at Hamilton under lucerne planted on the crests, tall fescue and late season flowering perennial ryegrass on the valley floors also showed improved water use compared to annual pastures. Catchment modelling for the Tarcutta and Wannon catchments based on site results from Wagga Wagga and Hamilton show the potential for using EverGraze systems for reducing recharge in the catchments while managing farm dam and stream flow systems. Lucerne at Wagga Wagga and Hamilton Proof Sites was effective in controlling leakage below the root zone. Shrubs planted at the break of slope at Wagga Wagga did not significantly reduce soil moisture at the bottom of the slope. EverGraze Proof Site systems provide valuable insights into the important considerations for balancing stocking rate, lambing/calving dates, and buying/selling times to optimise pasture utilisation, manage variability of gross margins and maximise long term profitability. Stocking rates at all Proof Sites were set using modelling combined with ongoing site performance and input from local advisory groups. The relationships between stocking rates, pasture availability and supplementary feeding costs needed to meet minimum feed on offer and ground cover benchmarks are discussed for Albany, Hamilton, Wagga Wagga , Chiltern, Holbrook and Orange Proof Sites. 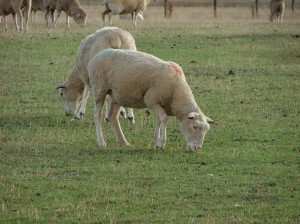 Post-experimental modelling for Wagga Wagga, Hamilton and Albany showed that in the given environment (season length, rainfall, soil type and soil fertility), the optimum ewe stocking rates vary with feedbase and lambing time. The optimum level of pasture utilisation also varied with environment. Areas with a more reliable rainfall pattern and milder finish to the season (Hamilton) are able to achieve higher utilisation rates than areas more prone to a hot dry finish (Wagga Wagga) and/or higher degree of seasonal variability (Tamworth ). The relationship between stocking rate and variability in gross margins is described for Albany, Wagga Wagga and Hamilton. Modelling showed that when the best available genetics were selected, joining at least a portion of Merino ewes to terminal sires (for production of both meat and wool) was the most profitable livestock system for perennial-based pasture systems in all regions. This system was therefore tested at all Proof Sites. When a Merino x Terminal system was compared to a Coopworth/composite enterprise at Hamilton , similar profitability was achieved in both systems, with higher lamb weaning percentages being an important driver of profit in the Coopworth/composite system which derived the majority of its income (95%) from lamb. In a system with both native pastures and phalaris, it was more profitable to run a single flock of Merino ewes joined to terminal sires than running a second flock of Merino wethers on the native pastures (Holbrook ). At Wagga Wagga , on the perennial pasture base (lucerne, phalaris and tall fescue), a later (September) lambing system (with 50% of ewes joined to Merinos and 50% to terminal sires) carried nearly twice as many ewes/ha as a winter (July) lambing Merino x Merino even though they had the same mid-winter stocking rate. A split lambing system was midway between the two. The higher number of ewes resulted in more meat and wool produced per hectare, but also had higher risk of high supplementary feeding costs in dry springs. 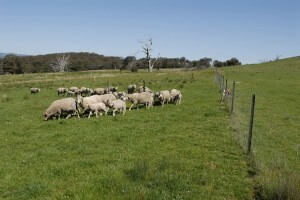 The split lambing system allowed stocking rates to vary to take advantage of good seasons and minimise supplementary feeding costs in dry years. The ability to vary stocking rates to manage variable seasonal conditions was also an advantage at Tamworth Proof Site where it was suggested this be achieved using trade cattle. At Albany , the optimum time of lambing varied with the proportion of perennials in the system. With more perennials, a later lambing (July) was possible, but at the optimum proportion of perennials (25%), a May lambing was still the most profitable. At Hamilton , modelling showed the most profitable lambing time for a Merino x Terminal enterprise to be September for production of store lambs for sale in December. However, at the site, lambs were sold at heavier store weights without compromising stocking rate or feeding costs in one year when they lambed in August. Modelling (McKinnon) showed that for the Hamilton environment, lambing three months, four months and five months prior to the end of the growing season were the most profitable for self-replacing, store production and finishing systems respectively. Further modelling also showed that when lucerne was included in the Triple system, lambs born in August could be kept on lucerne to January in 60% of years and February in 30% of years, providing further opportunity for higher profits. On the Native sites at Chiltern and Holbrook , lambs were taken to store weights by December with a June or July lambing time. At Orange , this was achieved with a September lambing time, with lambs reaching store weights between December and February. 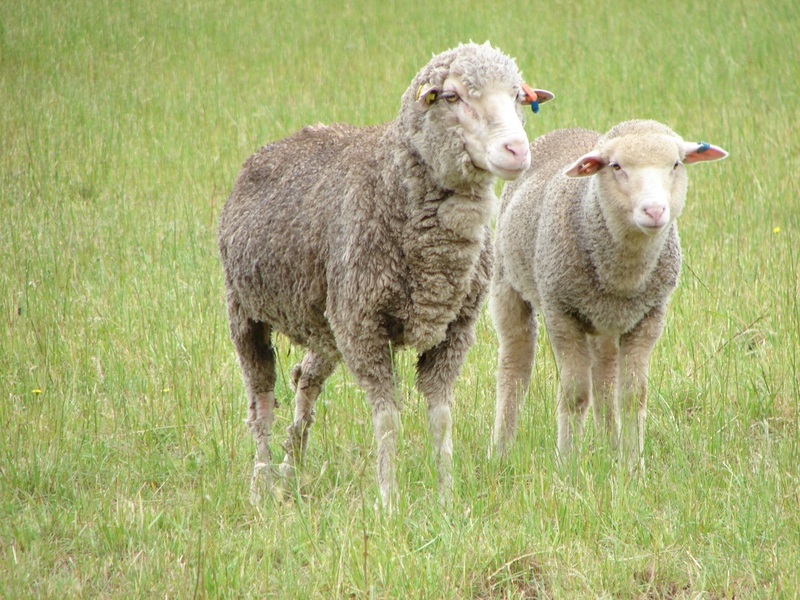 A key focus for all EverGraze Proof Sites was to achieve higher profits through increased reproductive performance by maintaining the condition of ewes according to Lifetimewool guidelines . Where benchmarks were available for comparison, lamb weaning percentages for both High Input and Native sites were higher than the district average (Chiltern , Hamilton , Albany ). Further opportunity to increase lamb weaning percentages was identified by providing shelter in environments with high wind chill during the lambing months (Hamilton Proof Site ), and by flushing ewes on lucerne for increased ovulation (Wagga Wagga Proof Site ). 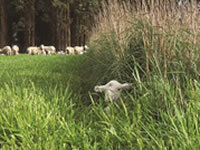 Perennial grass hedges at Hamilton increased lamb survival at the average birth weight by 30%. 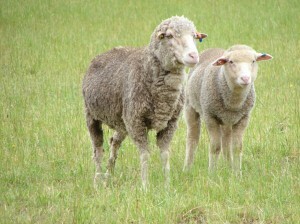 Lifetimewool guidelines for ewe condition were used on all sites. 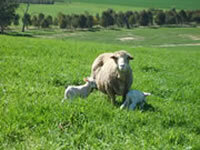 Flushing ewes on lucerne increased lambs marked by 10% at Wagga Wagga Proof Site. Cattle were a smaller part of EverGraze in comparison to sheep. However, the Triple and Perennial Ryegrass systems at Hamilton were compared in both weaner back-grounding systems and cows/calf operations and demonstrated that the pasture systems could increase beef production above the top 20% district benchmarks. A case study conducted for a farm in southwest Victoria also demonstrated the potential benefits for applying EverGraze principles to a cow/calf operation. Cattle systems were compared to sheep in modelling studies at Albany , Hamilton and Wagga Wagga , and this demonstrated that, in these environments, cow/calf operations were not as profitable as the Merino x Terminal sheep systems. EverGraze is a Future Farm Industries CRC research and delivery partnership. See the EverGraze Partners page for information on the funding, participation and leadership.